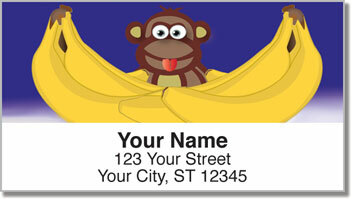 Playful primates make these original return address labels from CheckAdvantage absolutely hilarious! You'll go bananas for the four funny illustrations of cartoon chimps and their hijinks. 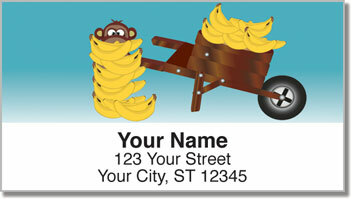 It's a cute design that adds a humorous touch to your outgoing mail. 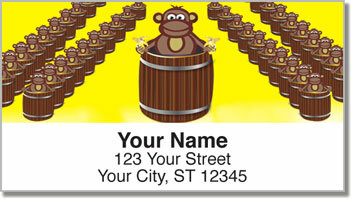 Funky Monkey Address Labels will make the process of preparing letters and packages much simpler by eliminating the annoying step of writing out your return address. The self-adhesive backing makes it easy as banana cream pie! 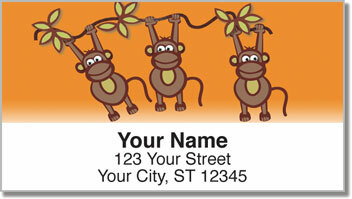 Get your very own Funky Monkey Address Labels today! You can also get this fun-filled design on a set of matching personal checks!